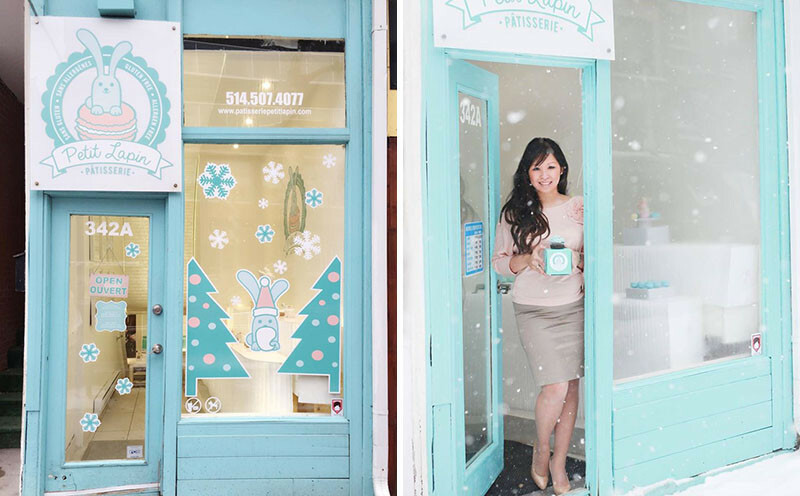 A few years ago, when Viviane Nguyen was trying to find a birthday cake for her child, who has severe allergies, she found it hard to find a cake that was allergy free, so she decided to bake one herself, which eventually turned into a small business. 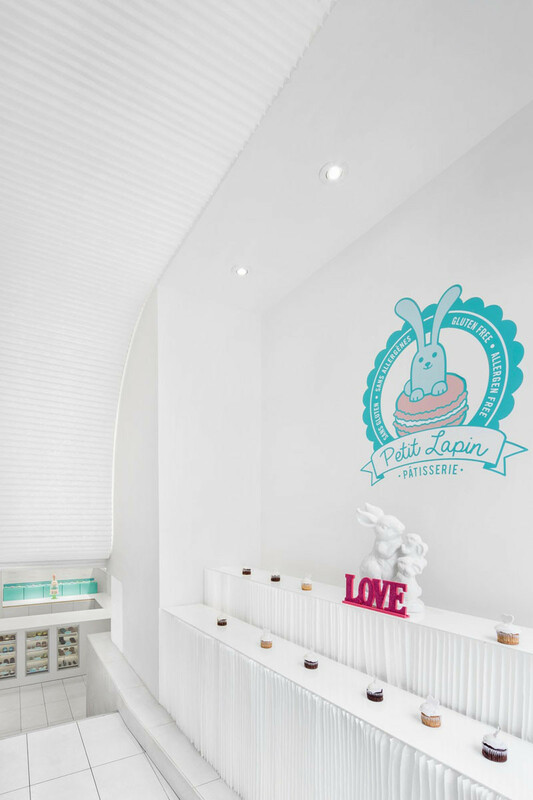 Today, Pâtisserie Petit Lapin creates cakes, cupcakes, and donuts, with a special focus on being allergy free. 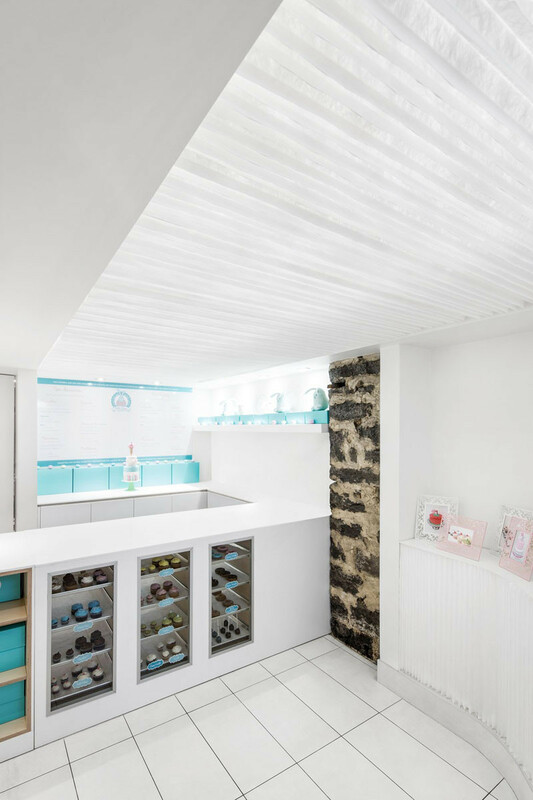 Recently, it was time to expand, so she worked together with Architecture Open Form to create a tiny bakery in a basement space just 342 square feet, located in Montreal, Quebec. 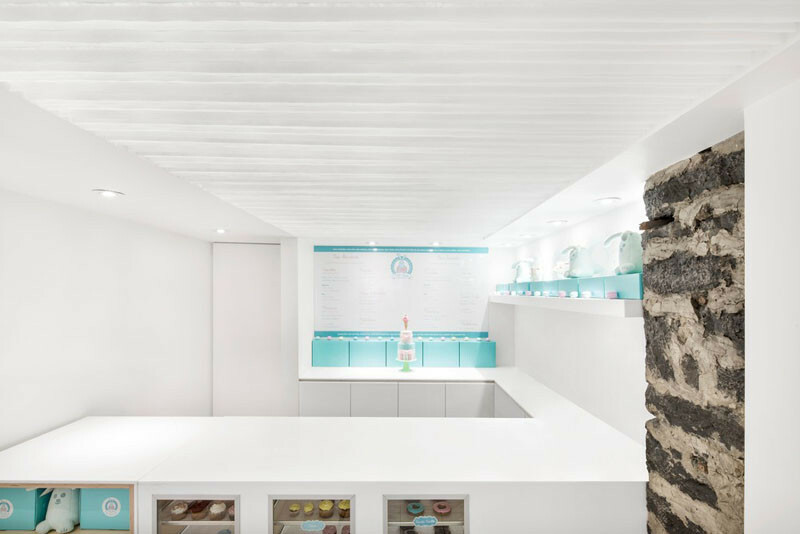 Hidden behind the bright blue door, is a small foyer, displaying just a sample of the goods she offers in the bakery below ground level. 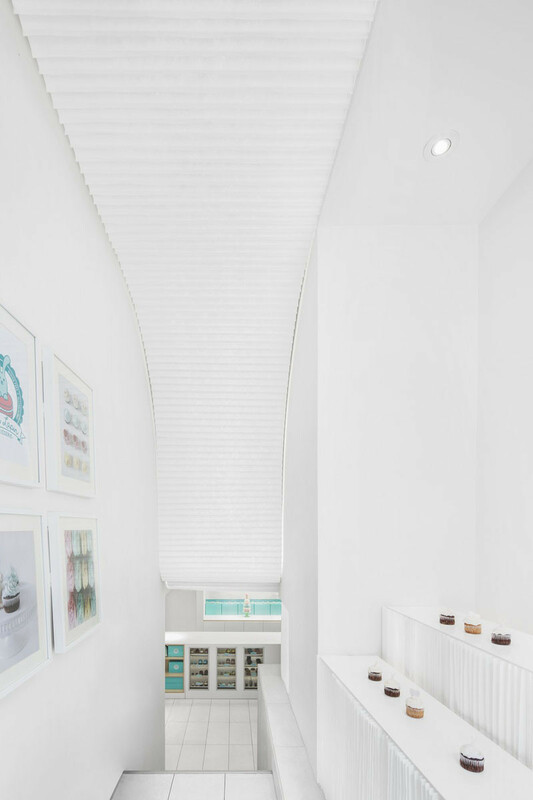 The interior is bright and white, which is definitely a good idea when dealing with a basement space that has almost no windows. At the bottom of the stairs, is the customer counter. A touch of the old building can been seen, with the stone foundation left unpainted. 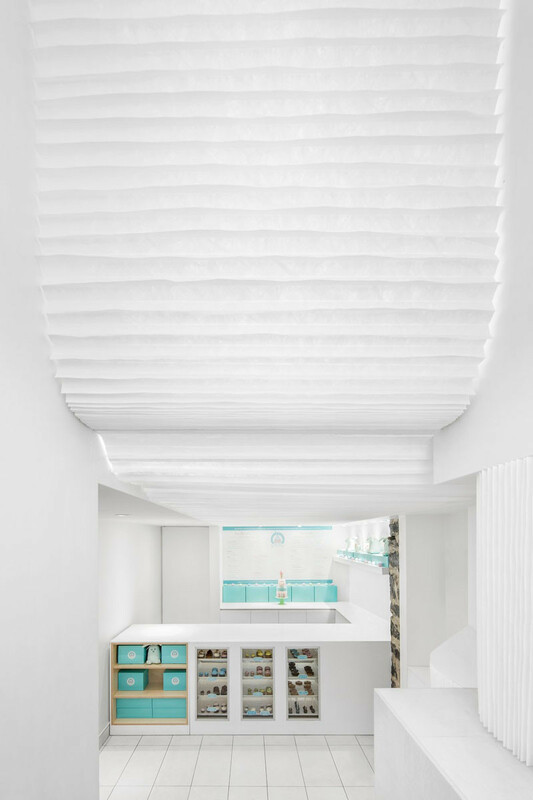 Pops of pastel blue break up the crisp white interior. 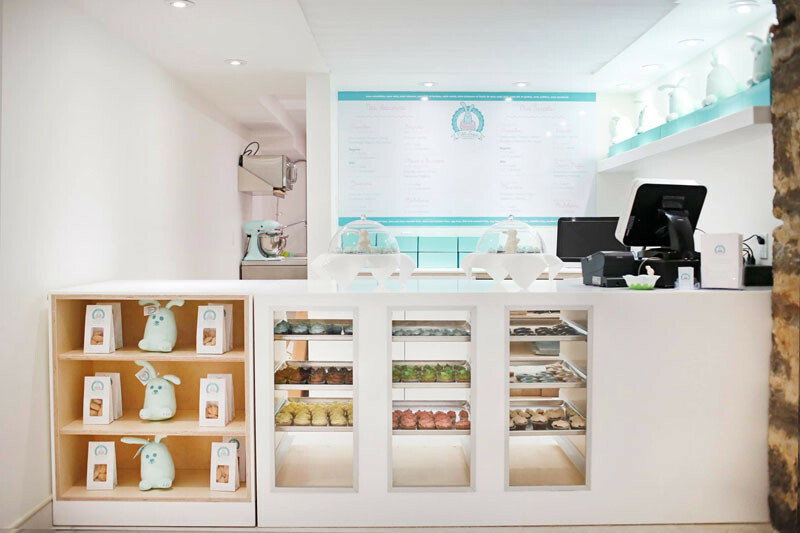 Here’s a look at the bakery when it has product and the point-of-sale system in place. And of course, we had to share the creations that Viviane makes in her bakery…looks delicious!